"Even when a seismic event—a war, a technological leap, a free concert in the mud—plays an outsize role in shaping a group of young people, no single factor ever defines a generation. Parenting styles continue to change, as do school curricula and culture, and these things matter. But the twin rise of the smartphone and social media has caused an earthquake of a magnitude we’ve not seen in a very long time, if ever. There is compelling evidence that the devices we’ve placed in young people’s hands are having profound effects on their lives—and making them seriously unhappy." My concern is that the author, although certainly qualified to utilize the mental health data given her background and experience, is connecting her conclusions to the phones themselves. Her focus is misplaced. She should be more focused on people's behaviors when using their phones, not the phones themselves. "...you know what smartphones and social media are really great at? Tuning out your children. I know, we all really enjoy reading articles about how it’s those evil smartphones that are destroying our children’s brains and souls. It lets us justify locking their devices up with parental monitoring tools, or cutting off their mobile plan when they fail to make the grade. Fellow parents, it’s time for us to consider another possible explanation for why our kids are increasingly disengaged. It’s because we’ve disengaged ourselves; we’re too busy looking down at our screens to look up at our kids." At least this author is focusing on behaviors. She is calling out parents to be models of healthy technology use before pointing fingers at their children. I do agree with that concept, but I'm still concerned about the blame game. Placing blame does not solve problems. Taking action does. 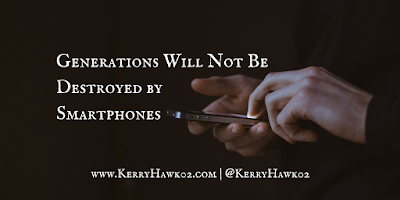 And, what's more, simply banning students from accessing smartphones and social media at school is not going to work. Actually, according to a new study from the University of Pheonix and Harris Polls, educators' social media use is clearly trending up. 41% of teachers use social media at school, up from 32 percent in 2016. 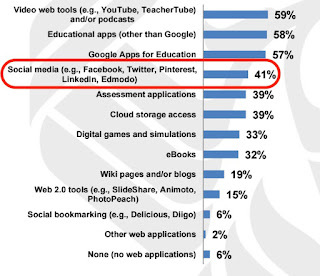 28% of teachers don't use social media in the classroom, but would like to. 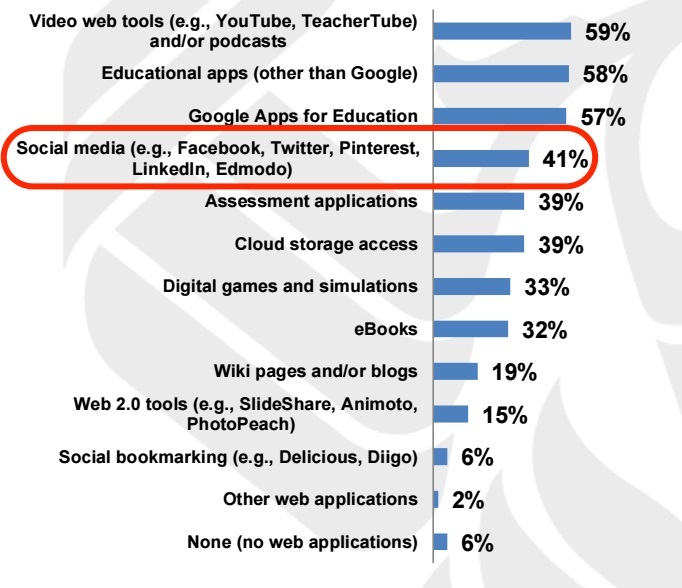 This data seems to show that more educators are recognizing at least the potential value of social media use as part of their work in education. 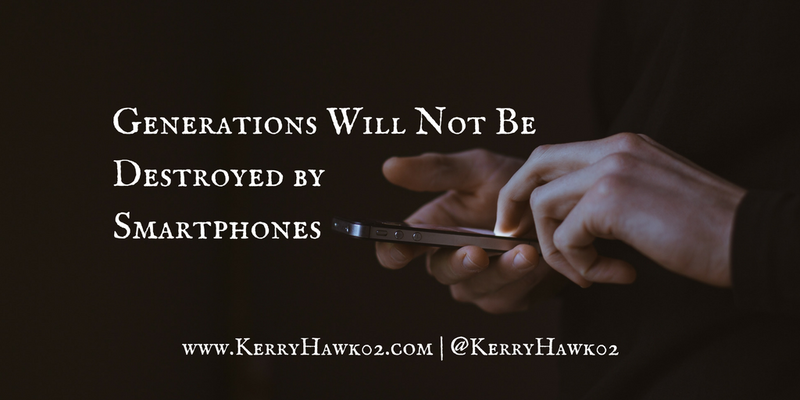 My hope is that we also recognize that our learners will not develop healthy social and technological habits with their devices unless we intentionally teach them. Just as we work hard to teach our students skills like keeping notes organized, managing their time, and how to write a lab report, we need to teach them how to leverage social media to help them learn and share in positive and productive ways. The children we serve will not learn these skills unless we recognize our duty to model them and teach them. How will educators step up? It starts with cultural norms – not disciplinary rules – that all community-members agree to be held to. Yes, even adults. At St. John's Prep we have developed these and are rolling them out intentionally this year. Our infographic was even designed by a student and is posted in every classroom all over campus. Bring parents into the conversation. 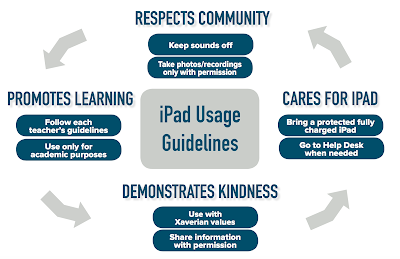 Share the data on parent screen use with them and ask them to hold themselves accountable as well. Provide them with practical tips and resources, like these we curated for the parents in our community at St. John's Prep. Offer consistent opportunities for them to come together and talk about successes and struggles as they raise, and you educate, their children in this brave new world. Take tech risks with your students! When they are excited about a new tool or a new way to share their learning using their smartphones, embrace those ideas. Be sure to help them learn about privacy and security when trying a new app or program, but as long as it is safe students should be able to get creative even using tools you are not familiar with. We will not get caught up in the blame game. We will not succumb to a fatalist attitude that we are already on an inevitable destructive path. We will not make the mistake of oversimplifying the solution and imposing unrealistic bans. I'm confident that educators will step up, be the voice of reason, and get to work making the meaningful changes that we need so that all generations develop healthy proactive habits.